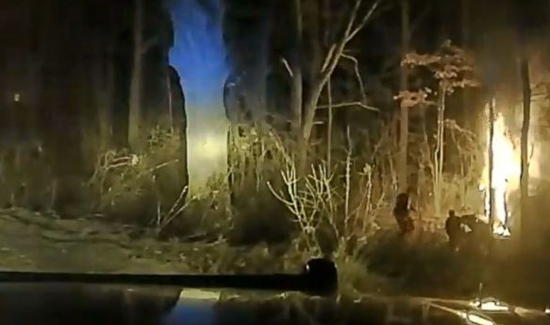 In Michigan, a sheriff’s deputy is being called a hero after dashcam video shows him risking his life to pull a driver from a burning vehicle. The incident unfolded early last Sunday at around 2:30 a.m. in Orion Township, Michigan. The deputy saw the driver speed past him, according to a press release from the Oakland County Sheriff’s Office. Vehicle is to the right. As the unidentified deputy pursued the speeding driver he lost control on a gravel roadway according to police. 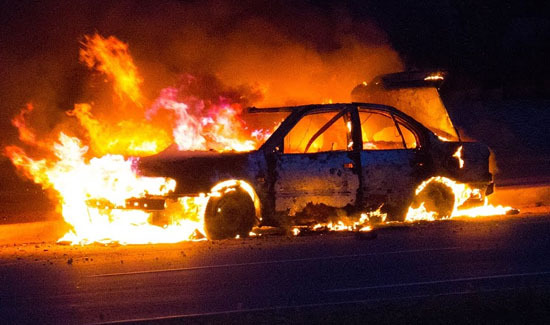 The car flipped onto its side off the road and immediately burst into flames. The video features the deputy running up to the burning car and pulling the driver out through the sunroof.